It's been ages since I posted something coming from me and not from a guest. I know my guest buddies are keeping you occupied when you drop by here, but I also know some are missing my ramblings (whoever would've thought, eh? LOL) and esp the Link Thursday madness & mayhem. So here it is, back, and me tagging along. Have you heard the news? There's a third Bridget Jones novel coming out in 2013. November, if I'm not mistaken. And there are rumors - almost confirmed - that a movie will follow. I saw an interview on TV the other day, quite old from a 2012 edition of Films & Stars, where Colin Firth dropped hints that a third movie might be in the making. I know I'll be gobbling down that book, and the movie, too. I mean, who doesn't love Bridget Jones? Who hasn't identified, in some part or the other, with her? No, we don't all go screaming 'All by myself' to the top of our lungs while gettin drunk in PJs and socks (it's ABBA, all right. Not 'All by myself'...). And who has never had the misfortune of wearing granny knickers on any day, let alone one where you might've gotten lucky? 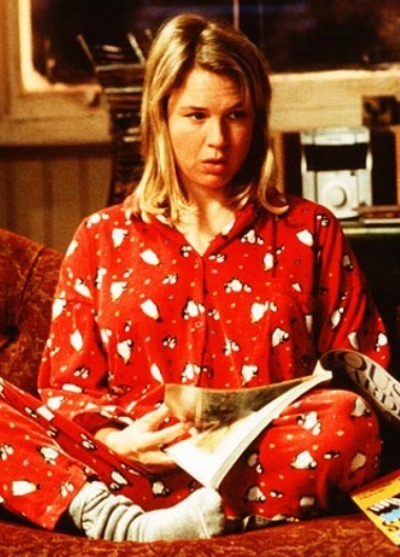 True - Bridget Jones is a fictional character that's somewhat over the top. But are we, 'normal' women, that much different from her? Nopes... and this article here proves my point. Read on to catch what I mean. (the article starts on Betty Confidential, and then the link crosses to YourTango). What do you think, peeps? I might've been married for nearly 11 years and completely blipped over what it felt like to be a singleton out there looking for Mr. Right, but I still recall I had my Bridget moments throughout the years. Ooh, yes, I love Bridget Jones' movies. Thrilled that a new one is coming out. I just hope that doesn't mean she's broken up with gorgeous Mr Darcy.